The 1970 FIFA World Cup was the ninth FIFA World Cup, the quadrennial international football championship for men's national teams. Held from 31 May to 21 June in Mexico, it was the first World Cup tournament staged in North America, and the first held outside Europe and South America. Teams representing 75 nations from all six populated continents entered the competition, and its qualification rounds began in May 1968. Fourteen teams qualified from this process to join host nation Mexico and defending champions England in the 16-team final tournament. El Salvador, Israel and Morocco made their first appearances at the final stage. The tournament was won by Brazil, which defeated another two-time former champion, Italy, 4–1 in the final in Mexico City. The win gave Brazil its third World Cup title, which allowed them to permanently keep the Jules Rimet Trophy, and a new trophy was introduced in 1974. The victorious team, led by Carlos Alberto and featuring players such as Pelé, Gérson, Jairzinho, Rivellino, and Tostão, is often cited as the greatest-ever World Cup team. They achieved a perfect record of wins in all six games in the finals, as well as winning all their qualifying fixtures. Despite the issues of altitude and high temperature, the finals largely produced attacking football which created an average goals per game record not since bettered by any subsequent World Cup Finals. With the advancements in satellite communications, the 1970 Finals attracted a new record television audience for the FIFA World Cup as games were broadcast live around the world and, for the first time, in colour. Argentina, Australia, Colombia, Japan, Mexico and Peru were all considered to host the 1970 FIFA World Cup. Mexico was chosen as the host nation in 1964 through a vote at FIFA's congress in Tokyo on 8 October, ahead of the only other submitted bid from Argentina. The tournament became the first World Cup hosted in North America, and the first to be staged outside South America and Europe; Mexico later became the first country to host the FIFA World Cup twice when it stepped in to stage the 1986 event after the original host selection, Colombia, suffered financial problems. A total of 75 teams entered the 1970 FIFA World Cup, and 73 were required to qualify. Due to rejected entries and withdrawals, 68 teams eventually participated in the qualifying stages, including eight for the first time. Mexico as the host nation and England as reigning World Cup champions were granted automatic qualification, with the remaining 14 finals places divided among the continental confederations. Eight places were available to teams from UEFA (Europe), three for CONMEBOL (South America), one for CAF (Africa), one for a team from either the AFC or the OFC (Asia/Oceania), and one for CONCACAF (North and Central America and Caribbean). A place in the finals for an African representative was guaranteed for the first time, as a response to the mass boycott of the qualifying process for 1966 by the African entrants after FIFA linked Africa, Asia and Oceania together with only one qualifying place on offer. The draw for the qualifying stages was conducted on 1 February 1968 in Casablanca, Morocco, with matches beginning in May 1968 and the final fixtures being concluded in December 1969. North Korea, quarter-finalists at the previous tournament, were disqualified during the process after refusing to play in Israel for political reasons. El Salvador qualified for the finals after beating Honduras in a play-off match, which was the catalyst for a four-day conflict in July 1969 known as the Football War. Half of the eventual qualifying teams had also been present at the previous World Cup, but three teams qualified for the first time: El Salvador, Israel and Morocco, while Peru, Romania, Belgium and Sweden made their first World Cup appearances since 1930, 1938, 1954 and 1958 respectively. Czechoslovakia was also back after missing the 1966 World Cup. Those who failed to qualify included Argentina (in their only qualifying failure as of 2018), France, Hungary, 1966 Semi-Finalists Portugal and Spain. Five stadiums in five cities were selected to host the World Cup matches. 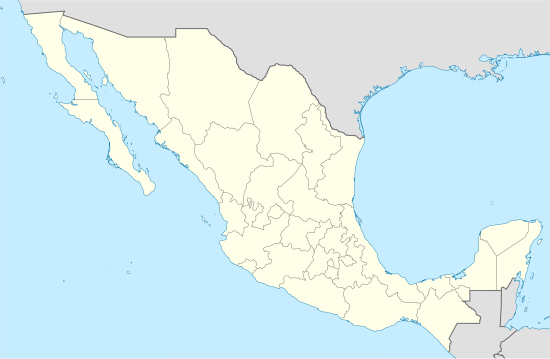 Alternative venues in Hidalgo state and the port city of Veracruz were also considered. Each group was based solely in one city with exception of Group 2, which was staged in both Puebla and Toluca. Aside from the Estadio Luis Dosal, all the stadia had only been constructed during the 1960s, as Mexico prepared to host both the World Cup and the 1968 Summer Olympics. The altitude of the venues varied and the importance of acclimatisation was strongly considered by all the participating teams. As a result, in contrast to the previous tournament staged in England, most teams arrived in the region well in advance of their opening fixtures to prepare for this factor. Some teams had already experienced the local conditions when competing in the football competition at 1968 Summer Olympics. At an elevation in excess of 2,660 metres (8,730 ft) above sea level, Toluca was the highest of the venues; Guadalajara was the lowest at 1,500 m (4,920 ft). In addition to the altitude, all five locations had hot and rainy weather where temperatures would regularly go past 32°C (90°F). Of the five stadia used for the 32 matches played, the largest and most used venue was the Azteca Stadium in Mexico City, which hosted 10 total matches including the final and third place matches, and all of Group 1's matches (which included all of host Mexico's matches). The Jalisco Stadium in Guadalajara hosted eight matches including all of Group 3's matches and a semi-final. The Nou Camp Stadium in Leon hosted seven matches, which consisted of all of Group 4's matches and a quarter-final match. The Luis Dosal stadium in Toluca hosted four matches, and Cuauhtémoc stadium in Puebla hosted three matches and was the only stadium of the five used for this tournament not to host any knockout rounds. Although it was reported in the build-up to the final draw that seedings would be used, as had been the case at the previous two World Cup Finals, the FIFA Organising Committee ultimately announced that there would be no seeding of teams. Instead, the 16 teams were divided into four 'geographical groupings', which also took into account the teams' strengths and even political considerations; the system ensured that Israel and Morocco would not be drawn to face each other after Morocco had earlier threatened to withdraw from the tournament, as they had done from the Olympic football tournament two years earlier, if that were the case. The draw was staged in Mexico City, Mexico on 10 January 1970 in the Maria Isabel Hotel, which served as FIFA's headquarters during the competition. The teams were drawn into the four groups, which had their locations defined in advance: Group 1 being staged in Mexico City, Group 2 in Puebla and Toluca, Group 3 in Guadalajara and Group 4 in León. 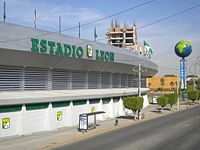 It was predetermined that the hosts Mexico would be in Group 1 and so based in the capital city, and that England as holders would be based in Guadalajara, the tournament's second largest stadium. The 10-year-old daughter of Guillermo Cañedo, President of the Mexican Football Federation and the Local Organising Committee, drew out the teams from four silver cups. For a list of all squads that appeared in the final tournament, see 1970 FIFA World Cup squads. 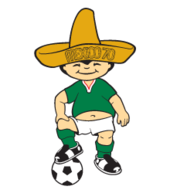 Juanito was the official tournament mascot. Following the opening ceremony host nation Mexico faced the Soviet Union; this was the last time until the 2006 World Cup that the host nation's first match rather than the World Cup holders' began the tournament. Both this opening match of Group 1 and many others during the competition kicked off at noon for the benefit of European television schedules, meaning play under the midday sun. The match produced a goalless draw, prompting some media to predict the entire tournament would be played at the slow tempo that featured in this game given the conditions involved. Following the half-time interval Anatoliy Puzach became the first substitute to be used in FIFA World Cup history as the Soviets made use of the new competition rule. Both teams won their remaining two games to progress from the group at the expense of Belgium and World Cup debutants El Salvador. Group 2 was the lowest-scoring of the groups with only six goals in its six matches as Uruguay, reigning South America champions,and Italy, the reigning European champions, edged past Sweden and Israel. Sweden would have progressed if they had produced a two-goal victory against Uruguay in their final game, but it was not until the final minute that they scored the only goal of the game. Hours before the game FIFA elected to replace the scheduled referee after bribery rumours – later dismissed by FIFA – arose in Mexico. The 1–0 result meant Uruguay advanced, to be joined by Italy after they avoided defeat in the group finale against Israel. Owing to the lack of a seeding system, Group 3 allowed the reigning World Cup holders England to be paired together with the two-time former champion Brazil, considered by many the pre-tournament favourites for the trophy. England's preparations were hampered by the arrest of their captain Bobby Moore in Colombia for allegedly stealing a bracelet from a jeweller's shop; the charges were later dropped. The attitude of their manager Alf Ramsey and the English media in general was perceived by many locals as unfriendly and xenophobic toward Mexico's hosting of the competition, which meant the English team received a largely hostile response during the competition. With both having won their opening games – against Czechoslovakia and Romania, respectively – Brazil met England in the group's most famed match. Although Gordon Banks in the English goal denied Pelé from close range with a reflex save that Pelé himself cited as the greatest of his career, a second half goal from Jairzinho won the match for Brazil, after which England squandered several excellent opportunities to equalise. Both teams then won their final group games to progress to the knockout stage. Play in Group 4 began with Bulgaria taking a two-goal lead against Peru, but a second half comeback gave the South Americans a 3–2 victory. Morocco, the first African World Cup representatives since 1934, also began strongly by taking the lead against the 1966 runners-up West Germany, but the Germans came back to win 2–1. West Germany also went behind against Bulgaria in their second match, but a Gerd Müller hat-trick helped them recover and win 5–2; the eventual Golden Boot winner Müller hit another hat-trick – the only hat-tricks of the entire tournament. – to win the group against Peru. Mexico and the Soviet Union had finished tied at the top of Group 1 on both points and goal difference, meaning that the drawing of lots was required to rank them. On 12 June, the draw allocated the Soviet Union the group winners' berth, meaning that they would face Uruguay at the Estadio Azteca, while the host nation were paired against Italy in the smaller Toluca venue. Mexican officials unsuccessfully appealed to FIFA to stage their game in the capital to avoid traffic problems. The hosts took the lead against Italy with a José Luis González goal, but his teammate Javier Guzmán equalised with an own goal before half-time. Italy then dominated the second half to progress to the semi-finals with a 4–1 win. The Soviet Union were also eliminated in their quarter-final when a Víctor Espárrago header three minutes from the end of extra-time sent Uruguay through. The Soviets believed that during the Uruguay attack a ball had crossed touchline and stopped playing while their opponents continued playing and scored. The all-South America tie in Guadalajara was the highest-scoring of the four quarter-finals as Brazil recorded a 4–2 triumph over Peru. A rematch of the previous World Cup final between England and West Germany took place in León, in which the reigning champions entered a two-goal lead. Franz Beckenbauer halved the deficit when his low shot beat England's second choice goalkeeper Peter Bonetti, playing after Gordon Banks suffered food poisoning the day before. Eight minutes from time an Uwe Seeler header levelled the score. At 2–2, however, Hurst had a legitimate goal ruled out for offside. An extra-time goal from Gerd Müller brought (West) Germany's first-ever competitive victory over England. The national embarrassment of losing against Germany is believed to have played a significant role in the surprise defeat of Harold Wilson's government in the United Kingdom general election, 1970 four days later. All four of the semi-finalists were former world champions, with the line-up guaranteeing a final between Europe and South America. In the all-South American tie, controversially switched from the capital to the lower altitude of Guadalajara, Brazil came from behind to defeat Uruguay 3–1 and earn the right to contest their fourth World Cup Final. Two Brazilian goals in the final 15 minutes decided a match that had been evenly-matched until that point. The all-European meeting between Italy and West Germany produced a match regarded by many as one of the greatest World Cup games of all time. Having led from the eighth minute through Roberto Boninsegna's strike, Italy were pegged back in injury time when sweeper Karl-Heinz Schnellinger scored his only international goal. Extra-time brought five more goals as the lead swung between the two sides until Gianni Rivera gave the Azzurri a decisive 4–3 lead. The match subsequently became known as the "Game of the Century", and today has a monument outside the Estadio Azteca to commemorate it. West Germany went on to defeat Uruguay 1–0 in the third-place match. In the final, Brazil opened the scoring when Pelé headed in a cross from Rivellino in the 18th minute, but Roberto Boninsegna equalised for Italy after a series of blunders in the Brazilian defence. The match remained level until the 66th minute when a powerful shot from Gérson restored the Brazilians' lead. Further goals from Jairzinho and Carlos Alberto rewarded Brazil's attacking play and secured a 4–1 victory and a record third World Cup triumph, which earned them the right to permanently keep the Jules Rimet Trophy. Both the Brazilian team that were crowned champions of the 1970 World Cup and the tournament itself have become regarded as among the very finest in the history of the FIFA World Cup. In contrast to the more physical style of play that had dominated the previous two tournaments, the 1970 Finals are noted for the attacking play adopted by most teams. For the first time at a World Cup Finals, referees could issue yellow and red cards (a system that is now commonplace at every level of football worldwide), yet, in contrast to the previous tournaments (besides the 1950 edition) and all subsequent tournaments to date, no player was expelled from play. The officiating of the opening match, commentated by some media as overly strict, set a standard of discipline that instead helped protect skillful players in accordance with FIFA's stated wish. The tournament's average of 2.97 goals per game set a level not since bettered. The eventual champions Brazil, led by Carlos Alberto, and featuring Pelé, Clodoaldo, Gérson, Jairzinho, Rivellino, and Tostão, is often cited as the greatest-ever World Cup team. They won all of their six games on the way to the title, and had also won every one of their qualifying fixtures. Jairzinho's feat of scoring in every finals match likewise has yet to be equalled. Coach Mário Zagallo became the first man to win the World Cup as both a player (1958, 1962) and coach. This was the first World Cup to use the Telstar ball from Adidas (the Adidas firm has supplied every World Cup match ball starting with this one, and has continued to do so since), introduced as the Telstar Erlast for the 1968 European Football Championship. The Telstar was the first World Cup ball to use the now-familiar truncated icosahedron for its design, consisting of 12 black pentagonal and 20 white hexagonal panels. The 32-panel configuration had been introduced in 1962 by Select Sport, and was also used in the official logo for the 1970 World Cup. The black-and-white pattern, to aid visibility on black and white television broadcasts (which was still commonplace then, as colour television was rare in many parts of the world), was also well established before the Telstar. The name came from the Telstar communications satellite, which was roughly spherical and dotted with solar panels, somewhat similar in appearance to the football. Forming a partnership with FIFA in 1970, Panini published its first FIFA World Cup sticker album for the 1970 World Cup, initiating a global craze for collecting and trading stickers. In 2017, a complete 1970 World Cup Panini sticker album signed by Pelé sold for a record £10,450. The first round, or group stage, saw the 16 teams divided into four groups of four teams. Each group was a round-robin of six games, where each team played one match against each of the other teams in the same group. Teams were awarded two points for a win, one point for a draw and none for a defeat. The teams finishing first and second in each group qualified for the quarter-finals, while the bottom two teams in each group were eliminated from the tournament. Note: Having finished level on both points and goal difference, the Soviet Union and Mexico were separated by the drawing of lots. The eight teams that had advanced from the group stage entered a single-elimination style tournament, which also featured a third place play-off contested between the two losing semi-finalists. In this knockout stage (including the final), if a match was level at the end of 90 minutes, extra time of two periods (15 minutes each) would be played. In matches prior to the final, if the score was still level after extra time then a coin toss by the referee would determine the winner. If the final was still level after 120 minutes' play then the match would instead be replayed at a later date. With 10 goals, Gerd Müller was the top scorer in the tournament. In total, 95 goals were scored by 55 players, with only one of them credited as own goal. ^ a b c "The Story of the 1970 World Cup". BBC. 12 May 2010. ^ a b c "Brazil's 1970 winning team voted best of all time". Reuters. 9 July 2007. ^ a b "The Boys from Brazil: On the trail of football's dream team". The Independent. 10 April 2010. ^ a b "The 10 Greatest Football teams of all time". Daily Mail. 1 May 2009. ^ a b "Netherlands' perfect winning streak can match historic feat of Brazil 1970". Goal.com. 7 July 2010. Archived from the original on 12 July 2013. Retrieved 7 July 2013. ^ "Soccer play in Mexico stirs altitude controversy". Free-Lance Star. Fredericksburg, VA. Associated Press. 2 June 1970. p. 6. ^ a b "Castrol index tournament legends". Castrol Performance Index. Archived from the original on 12 July 2013. Retrieved 7 July 2013. ^ a b "Perfect farewell to Pelé's last appearance in a World Cup". Brasil 2014: World Cup Portal. Archived from the original on 12 July 2013. Retrieved 7 July 2013. ^ a b c "World Championship – Jules Rimet 1970 Cup Technical study" (PDF). FIFA. ^ Dunmore, Tom (2011). Historical Dictionary of Soccer. Scarecrow Press. p. 13. ^ a b "1970 FIFA World Cup Mexico". FIFA. Archived from the original on 13 September 2008. ^ "40 years since first World Cup in colour". TVlicensing.co.uk. ^ a b "Host Announcement Decision" (PDF). FIFA. 2 December 2010. ^ a b c "Preliminary Competition: History by year" (PDF). FIFA. November 2009. Archived from the original (PDF) on 2 June 2010. ^ a b "Preliminary Draw Statistical kit" (PDF). FIFA. 2 August 2011. ^ a b "Africa's missing World Cup years". BBC Sport. 26 April 2002. ^ "Tough tasks for British". The Times. London. 2 February 1968. p. 13. ^ "Boycott! When Africa & Asia said "Enough"". Twohundredpercent.net. 31 May 2010. Archived from the original on 1 July 2013. Retrieved 23 June 2013. ^ "North Korea out". The Times. London. 5 July 1969. p. 7. ^ Glanville, Brian (2010). The Story of the World Cup. Faber and Faber. p. 167. ^ Anderson, Thomas P. (1981). The War of the Dispossessed: Honduras and El Salvador 1969. Lincoln: University of Nebraska Press. ^ a b c d e "FIFA World Cup: Milestones, facts & figures. Statistical Kit 7" (PDF). FIFA. 26 March 2013. Archived from the original (PDF) on 21 May 2013. ^ "Del 31 de mayo al 21 de junio de 1970" (in Spanish). La Nación. 30 June 1967. ^ "Building for the future". Christian Science Monitor. 19 October 1967. ^ "Altitude bugs soccer players". Meriden Journal. 2 June 1970. ^ "Problem of altitude". Ottawa Citizen. 2 June 1970. ^ "Ability and politics govern the draw". The Times. London. 19 December 1969. p. 11. ^ "Top teams to be seeded". The Times. London. 8 January 1970. p. 11. ^ a b "FIFA World Cup: Seeded teams 1930–2010" (PDF). FIFA. November 2009. ^ "Brasil, Alemanha e Italia querem o Grupo Dois" (in Portuguese). Jornal do Brasil. 11 January 1970. ^ "Football at the 1968 Ciudad de México Summer Games: Men's Football". Sports-reference.com. ^ "Africa in the FIFA World Cup: Part 3 – The Seventies". Currybet.net. 2 December 2009. Archived from the original on 1 July 2013. Retrieved 23 June 2013. ^ "The FIFA World Cup Final Draw history" (PDF). FIFA. November 2009. ^ a b Dawson, Jeff (2001). Back Home: England and the 1970 World Cup. Orion. ^ "Draw for finals of World Cup". The Times. London. 12 January 1970. p. 12. ^ "Mexico duels Russians in World Cup". Toledo Blade. 11 January 1970. ^ "The FIFA World Cup Opening Day Match History, Facts and Winners". Yahoo. 11 June 2010. Archived from the original on 12 July 2013. Retrieved 7 July 2013. ^ "Big yawn as World Cup rivals draw". The Age. 2 June 1970. ^ "World Cup slowdown bores fans". The Pittsburgh Press. 1 June 1970. ^ "Pele keeps Brazilians on right track". Vancouver Sun. 11 June 1970. ^ a b c "Mexico draws tiny stadium". The Bulletin. 13 June 1970. ^ "Bribe rumours stir soccer". Reading Eagle. 11 June 1970. ^ "Mexico, England, Italy in quarter-finals". Montreal Gazette. 12 June 1970. ^ "England soccer captain held for shop-lifting". The Indian Express. 27 May 1970. ^ "1970: Bobby Moore cleared of stealing". BBC. ^ "England lose popularity contest". Glasgow Herald. 13 June 1970. ^ a b "English win first World Cup match". The Spokesman-Review. 2 June 1970. ^ "British take villain role in World Cup". Pittsburgh Press. 2 June 1970. ^ "Young Mexicans jeer England". The Times. London. 14 May 1970. p. 14. ^ "Pele and other top Brazilians may miss Romanian game". Glasgow Herald. 9 June 1970. ^ a b "World Cup Review: Firm authority respected". The Times. London. 23 June 1970. p. 15. ^ a b "Brazil hit back against Czechs". Glasgow Herald. 4 June 1970. ^ "Fans whistles and boos as England wins, 1–0". Ottawa Citizen. 3 June 1970. ^ "The Final that never was". FIFA. ^ "Gordon Banks: The keeper who stunned the King". FIFA. ^ "Brazil mix enough method to their magic". ESPN. 7 February 2013. Archived from the original on 12 July 2013. Retrieved 7 July 2013. ^ "Fireworks erupt after Brazilian goal beats England lose popularity contest". Ottawa Citizen. 8 June 1970. ^ "Back to school for England after World Cup Soccer loss". Beaver County Times. 8 June 1970. ^ "England rides boot of Clarke to eights". The Leader-Post. 11 June 1970. ^ "Peru's comeback". Ottawa Citizen. 3 June 1970. ^ "FIFA World Cup goals" (PDF). FIFA. ^ "Germany, Brazil lead World Cup". St. Petersburg Times. 11 June 1970. ^ "Mexico travel to play Italy". Glasgow Herald. 13 June 1970. ^ "Italy crush Mexico". The Times. London. 15 June 1970. p. 13. ^ "Well-timed winner". The Times. London. 15 June 1970. p. 13. ^ "Defending champs knocked out". Vancouver Sun. 15 June 1970. ^ "Robert Green, I know how you feel, says ex-England keeper Peter Bonetti". The Daily Telegraph. 13 June 2010. ^ England: The Official F.A History, Niall Edworthy, Virgin Publishers, 1997, ISBN 1-85227-699-1. ^ "Bundesliga 50 – The birth of Germany's Professional Game". Football Republik. 9 June 2013. Archived from the original on 12 July 2013. Retrieved 7 July 2013. ^ Downing, David (2001). The Best of Enemies: England v Germany. Bloomsbury Publishing. ^ "Italy favored to win cup". The Leader-Post. 16 June 1970. ^ "Italy meets Brazilians on Sunday". The Spokesman-Review. 19 June 1970. ^ "Players Info: Schnellinger". German Football Association. ^ "World Cup Soccer Finalists". Reading Eagle. 18 June 1970. ^ a b "A test of endurance and will". FIFA. ^ "West Germany conquers Uruguay, 1–0, for Third Place in World Cup Soccer". Associated Press. 20 June 1970. ^ a b "Sizzling Brazil stun the Azteca". FIFA. ^ Lisi, Clemente Angelo (2007). A History of the World Cup: 1930–2010. Scarecrow Press. p. 167. ^ "The 1970 World Cup is recalled fondly, and in glorious technicolour". The Herald. 17 November 2012. Archived from the original on 12 July 2013. Retrieved 7 July 2013. ^ "1970: The definitive World Cup..." Four Four Two. 14 March 2009. Archived from the original on 12 July 2013. Retrieved 7 July 2013. ^ "Ken Aston – the inventor of yellow and red cards". FIFA. 15 January 2002. ^ "World Cup History 1970". ESPN. 10 November 2009. Archived from the original on 12 July 2013. Retrieved 7 July 2013. ^ "England begins soccer defence today". Montreal Gazette. 2 June 1970. ^ "Mexican standoff?". The New York Times. 7 June 1970. ^ "Strict control needed in combustible situation". The Times. London. 26 September 1970. p. 5. ^ "Clean, dull soccer start". Ottawa Citizen. 1 June 1970. ^ "Officials determined to police World Soccer Championships". Eugene Register-Guard. 30 May 1970. ^ "Jairzinho: The Hurricane that never blew out". FIFA. ^ "Mario Zagallo: None hungrier than Brazil's lone wolf". FIFA. ^ a b "1970 Mexico". The Footballs during the FIFA World Cup. FIFA. Archived from the original on 28 November 2013. Retrieved 17 September 2011. ^ "The History of the Official World Cup Match Balls". SoccerBallWorld. Rig-Tech Inc. Retrieved 17 September 2011. ^ "The Story of Select". Select Sport. Archived from the original on 3 October 2011. Retrieved 17 September 2011. ^ a b Bernsen, Jens (1992). "Vi er røde, vi er hvide". Design DK (in Danish and English). Dansk Design Centre. ISSN 0906-9194. ^ "1970 FIFA World Cup Mexico". Previous FIFA World Cups. FIFA. Retrieved 17 September 2011. ^ "Brand collaborations". FIFA.com. Retrieved 8 September 2018. ^ "Panini World Cup sticker book". The Guardian. Retrieved 3 September 2018. ^ "Panini 1970 World Cup album signed by Pele auctions for £10,450". ESPN. Retrieved 3 September 2018. ^ "The world's most expensive Panini album, signed by Brazilian legend Pele, has been auctioned off for £10,450". Irish Mirror. Retrieved 3 September 2018. ^ "1970 FIFA World Cup Mexico". FIFA.com. Fédération Internationale de Football Association. Archived from the original on 10 December 2013. ^ a b c "Permanent Table" (PDF). p. 230. Retrieved 28 June 2014. Wikimedia Commons has media related to FIFA World Cup 1970.